It's been over 75 years since war was announced in 1939, but the lessons we can learn from the courageous pioneers of the home front are still very much relevant today. From painting legs with gravy as a stocking replacement to a home guard armed with knives on brooms, the home front was the source of many a clever innovation. A shortage of supplies meant that people had to think outside the box to solve day to day problems, an important lesson for those of us who curse the Sunday trading hours. Rationing was introduced to ensure that everyone would receive a balanced diet from the food available, primarily vegetables and potatoes which could be readily produced on home soil.The diet had been carefully thought out and tested by scientists at Cambridge University and Brits actually became healthier during the war. 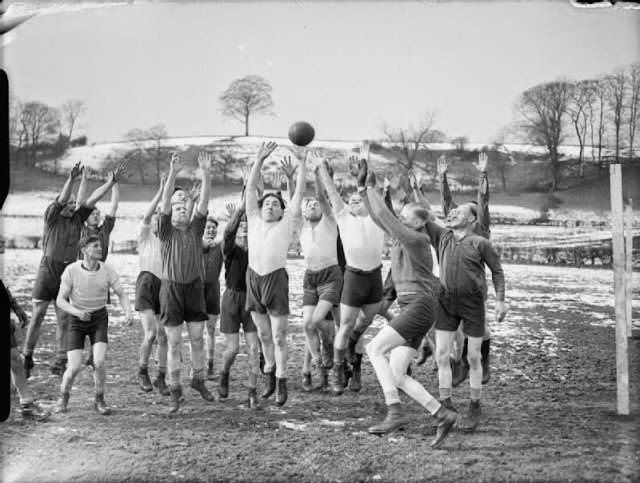 What better way of boosting morale can there be than a game of football? The game spread cheer and camaraderie in the streets and helped cross the language barrier in prisoner of war camps. Factories organised leagues for their workers, including women, to keep them fit and happy. Why not rally your co-workers for a lunchtime match? You might just see a great increase in productivity. With material heavily rationed during the war finding new fashions proved problematic. As a result many ended up altering their old clothes, knitting new ones and making their own accessories from pieces of scrap metal, while neighbours would often set up clothes swaps. Which leads us to…. Make an effort to get to know your neighbours and help them out now and then. Being friendly with your neighbours made a huge impact during the war, from helping each other grow to sharing food and supplies. 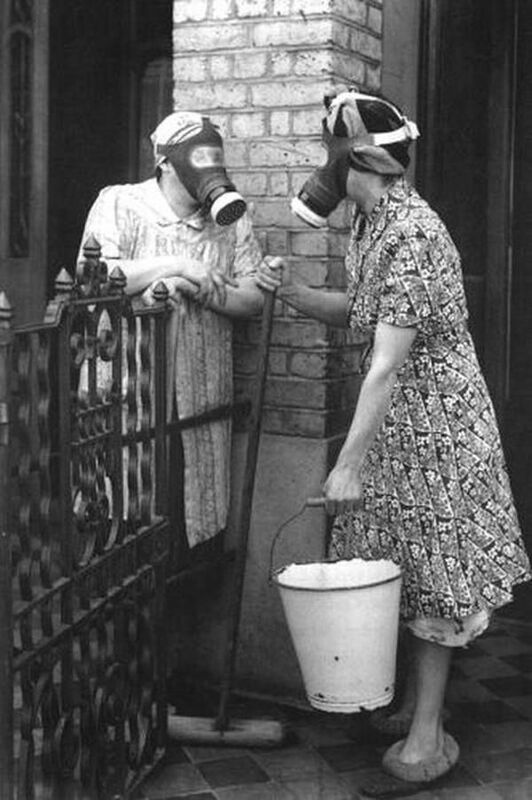 For some the neighbour's basement flat was the only thing protecting them from the air raids outside. No matter how packed the train was or how long the queue was in Starbucks this morning, I can guarantee that it was nothing compared to the dangers London's commuters faced during World War Two. Despite the daily threat of falling bombs, London's workers rallied together to keep the country's precious commodities in steady supply throughout the war. So have a sip of that pumpkin spice latte, keep calm and carry on.